I was surprised by the news that Paul is writing another children's book! This sounds like a fun one -- all about "Grandude" and his magical adventures with his four "chillers." However -- we have a year to wait until the release. I hope he does some book signings like he did for "High on the clouds." 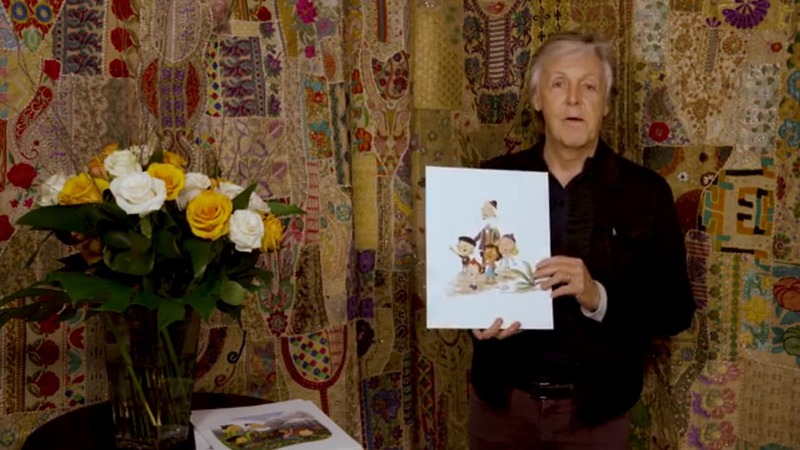 Side note: What is with the backdrops that Paul uses these days? Are they handmade?